Watch the documents and mourn over what befell the beautiful people of Eritrea who have to endure the cruelty of the Valineki Clique. The whole point about sports is: winning. Underdog, overdog: save it for a sappy “Hoosiers” documentary on Lifetime or the Oprah station. You both know it. And now we get to hear “the Warriors are one win away…” All hail Little (little by basketball standards) Curry! Saay, God granted your wish dragging it to 7 games, you got your wish. At least my nieces are happy, they like Curry a lot or just to piss me off, either way i am happy they are in to it. Ha ha…This is a real game for African championship..We have left the mighty Algeria to defeat now, if you’ll excuse us, thank you very much.. 🙂 The new Bahir Dar stadium seems to have a good omen. It inaugurated, its first international game with a win…. 1. 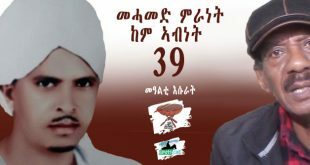 ናይ ጉ፡15 ከም ኣብነት እየምጺአዮ:: እቲ መሰረታዊ ሕቶ እቶም ኣብ ኤርትራ ዘለዉ ኣሽሓት ናይ ፖለቲካ በየናይ ሕጊ በየናት ገበን እዮም ተኸሲሶም? ኣብ ኣየናይ ቤት ፍርዲ? መዓስ? ብዝኾነ መዐቀኒ ብዝኾነ ሕጊ (ናይ ሃይልስላሰ ይኹን ናይ ደርጊ )ዝኮነ ክሱስ “ንጽህ እየ” ኢሉ ክማጕት ክጣበቅ መሰረታዊ መስሉ ምኳኑ ፈለጥካ ስለ ምንታይ ትህውትት? Reporter: “I thank you Mr. President. Maybe my questions are very explicit. I love Eritrea, and I respect its president, and I am proud of your role in the struggle and your keenness to develop this country. But I have a very frank question and I hope not be sensitive to it, therefore, can I ask openly about G-15 who are accused in Eritrea with the so-called national treason. What is their fate? Will they be tried? Isaias: By God, I do not know about this issue. This issue can be considered forgotten! Reporter: (Interrupting) And we remind you of it. Yes, we remind you of it! (After a moment of silence President Afewerki adds) I tell you this subject, the subject in the context of serving others and foreign interventions, and those trying to wound us through the media to talk about this issue, I say we are not prepared to be dragged, and lured, and speak on this subject. This issue, is a subject matter of States. The forces that are trying to create a crisis in this country, and we do not waste our time talking about this issue, which is trying to lure us into things we do not want to be lured to! Reporter: Well Mr. President, away from the G-15, there are Eritrean political groups abroad that oppose you. Is there a tendency to dialoguing with them? Isaias: (Laughs a lot .. and for long) We do not talk to .. With .. With .. I mean like, as they say you do not dialogue with a messenger. You dialogue with a messenger…if there is a dialogue…. Reporter: (Interrupting) Yes, what prevents you from dialoguing with them within the setting of a single-family in order to solve the problems of one family? Isaias: I saw… all countries have. .. such matters have become intertwined between it .. These things exist in more than one country. And as I said to you the messenger is something and the sender something else for me. The world is full of such. But our choice is to dialogue with the sender if appropriate conditions are created. But the messenger: tell him I will dialogue with the sender instead to wasting my time with you! ንምኳኑ ክቡር የይ: “ንስኹም” “ንሱ” ክትብል ከለኻ: ንስኻከ ጓና ዲኻ? ነቲ ትኣምነሉ ከተስልጥ ወፊርካ ዶ? እቶም ዝወፈሩ እንታይ ኣፍርዮም? SAAY argues that there was insignificant similarities between Lincoln’s and PIA’s situations in suspending habeas corpus (the privilege of an individual to appear in court– see his accuser and hear allegations and defend self— if Government has good reason for his detention). My argument is that Lincoln’s America and PIA’s Eritrea should not be viewed in simplistic logic of comparison. Both faced the same two emergencies, war and rebellion, and in such situations of emergencies presidents often elect to suspend habeas corpus and detain persons until things are under control. Both did that out of necessity. Their actions caused controversies but their respective national congresses supported them after the fact. Based on the clues in the above source, one can argue that PIA’s executive order was defined–to ensure the unity, sovereignty, defense, and development of the nation, and ensure the Government’s ability to fight a war/invasion and make peace . He consulted with the Eritrean National Assembly in January/February, 2002. The National Assembly, four months after the fact, eventually formally supported his decision to suspend habeas corpus on September 18, 2001. The suspension was for the duration of time until the National Assembly decided on it, and it impacted few people. From that time onward the previous detainees were transformed into prisoners because, as stated above, the Hagerawi Baiyto found them guilty of crimes. article, or chapter to refer to. 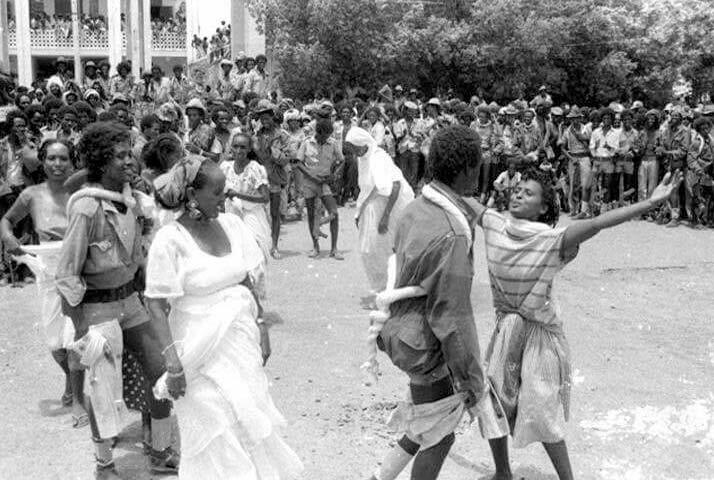 The difficulty was that Eritrea was under a transitional government and also fighting a war. The main problem, in my opinion, with the Transitional Government was, and still is, that ALL IMPORTANT STATE POWERS WERE ARRANGED TO BE UNDER THE INFLUENCE OF ONE PERSON, THE PRESIDENT (regardless of who that person is). We cannot say that it was ultimately PIA’s fault that they gave him all those powers. The National Assembly gave THE PRESIDENT all the powers, and there was no separation of powers or checks and balances to speak of. That is the structural weakness/strength (it depends how one sees it) of the State of Eritrea. To petition the President for a Baiyto meeting was legal and the Baiyto also had the power to elect the President of the State of Eritrea, but the President also had a lawful power to say YES/NO to any proposed meeting of the Baiyto. So, when they petitioned him to have a meeting (because they gave him beforehand the power to call/not to call the National Assembly for a meeting), he told them he was not ready for a meeting. It is obvious that there was a power struggle between the incumbents and the G-15, but that was not an unlawful response. specifically, the “Third Weyane Offensive” as well as making the peace and a “mutiny”). give us evidence to prove that you are right. SG Alamin was publicly stating that the Party discussed the “Reformers” and concluded their activities were “destructive”. STATE…ERITREA…., p. 81] . Alamin was in effect owning the decision of their detention. I generally agree with you that Issaias “was president [and]… the body that elected him could impeach and remove him,” following a certain agreed upon procedure. But that could have been possible only if they could officially meet. They petitioned him for a Baiyto meeting but he had the lawful power to accept/reject such a proposal, and they didn’t meet on the “Reformers'” preferred time, and thus they failed to impeach and remove him from power. Each side may have had justice on its side to do what they did, but the arrangement of State structure, and his ability to influence others and bring them to his side, favored the President. That makes the President neither a dictator nor a criminal. First of all, I did not say that the arrest of the G-15 was a mistake. To the contrary, what I said was that “I do not think President Issaias’s and Secretary General Alamin’s joint decision to detain G-15 members was a mistake.” I think there was a material oversight on both Semere’s and SAAY’s part. And according to the Baiyto’s 14th Session summary report, the “political dissent[er]s” were not condemned as criminals exclusively for their political dissent. I have listed some of the allegations above. Secondly, you seem to be talking about the freedom to communicate one’s thoughts to others by any available medium (i.e. which involves the freedoms of speech, press, association, seek and get information from government, etc.). Generally speaking, your concerns are noble and appreciated, but these freedoms (or privileges) are not absolute rights, and thus may be temporarily limited, denied or disallowed by the State or the Sovereign for other more important reasons to society (national security, public safety/security, Government operational success, conflicting rights, etc.). Even if we assume that the GoER was intentionally “holding citizens in prison because it doesn’t want their voices heard by other citizens,” why would that be illegal? Couldn’t there be good reasons to do so? Ought we judge GoER’s actions based on the laws of foreign states or organizations? So, what laws of the Eritrean Transitional Government are you having in mind to determine that such an action would be “A high crime” ? of other nations. It is alright to be concerned with the well being of individual members of our people and work for the better, but we have to always remember that Eritrea is both in transition and in an emergency (under siege of foreign forces and in danger of subversion). The two main things that cause the sovereign existence of a nation are invasion and civil war. I urge the Opposition to defend sovereign Eritrea, protect its people, and have a political program and aim to form a republic where political parties could freely compete in elections to run public affairs. If any Opposition is sleeping with the enemies of Eritrea, and believe that Eritrea is not a Sovereign Nation when it is under PIA/PFDJ, that is the kind of Opposition we don’t want or need. Abi, you are so sweet- sweeter than honey. Enkuwan andebetwa qoshashawa mar new. since I stop commenting on the subject, I was reading a lot about it. you have really given us a huge knowledge. reading from other sources I have got some questions still. I wonder and really appreciate if you and awate team help us putting well summarized article on the same topic. Thank you very much Saburi. I’m happy to hear that you learn from our exchanges. I also learn a lot from all exchanges here. All those important questions and comments helps me to articulate some difficult concepts. It is always challenging to present academical subjects to the public. Not only that the context we chose to put the subject is by itself challengin. Since we helps each other we managed go through. You can put your questions, here, so that we continue to learn. I don’t have enough words to thank you, nero, haile, T.K , Saay and all those who participated in this challenging concept. I’m glad I signed up at awate. We all learned a lot. If you want us to learn more I ORDER you and Nero to stay around. You are not a visiting professors anymore. You are HiRED. Hi gondre; you must be dumb if you think that was a discussion point. They sounded like a white man trying to be an expert on African issue. None of theme addressed the real issue. Since you are; you know; I have no expectation for you to underfund it. You are to dumb. You are showing your canines. All 32 of them. Who lets the dog out?woof! Woof! Woof! Gondere min ale? Yegorebet wusha yisTih. Thanks abi For he nice word. I am still reading not only easy articles but also the research documents and also histories how nations try it. Politically I was totally against TPLF in past (during our national struggle) I wonder how that smart Meles of Ethiopia manage it and I was appreciating his style. Yet, honestly speaking I didn’t know the choice he made (DDS) – the system – till you came here to write about DDS. he don’t have any moral to be rich. more difficult for a country with a lot of ethnic groups with long history full of conflicts, with poor working culture- Meles use to say “poverty is our first enemy” unlike our friends in Asmara who always say Weyane and US are out enemies Lol. and comparing it with neo liberalism and others makes me crazy. there is difference and go for debate and see also how to create a common ground and go a head.. Unfortunately few are aware about what conflicts are supposed to be. Few are with party leaders and members who are creative, curious,lively people who love new challenges, dislike routine, and keep watching on next horizon like yours –this topic for example. atmosphere of political arena 360 degree, but at least we can go up and solve most of unnecessary conflicts and think of the future and plan instead of crying about the past. 01.This or other system can be materialized when we change the reality first – I mean having parties with target for example. How do we do it? 02. A bit tough question, which party among our parties shows you interest of future system? I mean which party has put clear program that will go ahead jumping the obstacles we are in and has clearly written program of systems like DDS ? 03. Do you think confronting the leading party today (PFDJ which is dictatorial) with this type of system and opening the way toward peace can be possible? 03. Do you think the driving force that will complete the structure of DDS is alive today in Eritrea? sure you will put in to consideration the pyramid – the government, the reach investors, the educated intellectuals, and the wider part, the farmers and nomads. Note: I put several times Meles, as Ethiopia is the best model so far who use the system and go advanced a bit and is considered a model for Africa. -Let alone DS I don’t see any program for future Eritrea among oppositions. – DS doesn’t exist in today’s Erittes but PFDJ claim that is its vision. The whole talk about social justice, self reliance is to make alive that vision. I can see the southerners bluff about their election and how they copied zimbabew party of mugabe won 100%. Awate.com forumers would benefit from participants who are Eritrean than Tigrawot but lets assume all southerners are not the same , they never be. But what is the notion of attracting people from south and entertain their flithy ideas and some times spit all over Eritreans ? What benefit does these people give to our struggle ? How do they create their won environment by side walk of the Eritrean issues buckled at the back ? Would not it be fair for Eritreans to square on their own issues than clapp the minority government of weyane which is a dictator in its day light color. I can not imagine awate great minds are wasting their time over a fake heinous and no counting election of the minority than taking to their own dictator. give Eritrean issues first priority. If Fanti ghana has a valuable ideas to our cous why would i reject it. But to remain so many hours only to the ethiopian issues was a little too more for me. You never asked me to come here and you never paid any one to comment in but it is your call to ask me to stop commenting by that standard a free press equation is here to be questioned. I am not here to entertain some and awate.com is not here to take lecture from people like me either but do not get afraid to get comments that are hard to some . Even if you block me i will not stop reading awate.com articles and you can block me just now, i am not going to miss any of your articles because i would probably read them. Again i urge all Eritreans to focus to our cause and ring the bell to the majority of Eritreans in order to make it short. Believe me I love you to be around and I am sure everybody has the same feeling. I am sure awate team loves to see also. we are now one family. all you and miss is we are a little more emotional and we should learn form most of the family here who know how to say things. When we are not in control Just read only with our giving any comment. Selam, I have a lot of wonderful things for you. you will enjoy it. just be with us always. I want you to know i am always here in awate.com but i comment when ever i have some questions or disagreement with people i think are valuable or some times to people who intentionally dismiss our core values. I want you to know that i always read your comments and poems. I have been reading awate.com more than 5 years and i will stay here. Emotions , well you know water running through tunnels with so much slams. I am straight to the face. No hiding behined Shakespeare words. Keep it up. This is the site we Eritrean really find ourselves. The new developments ahead are promising. I read this piece on Newsweek which I think is a good investigative journalism on the subject of the humanitarian crisis our people face. It’s heart breaking to read and really scary to learn how sophisticated the evils benefiting from this crisis are. One particular new thing I have learned is the involvement of Italy’s Mafia in this crisis. May God save our people and give strength to those who are fighting this evil. Interesting way of comparing sports to Eritrean politics, but I would describe it differently. We are all supporting the same team, even though we have different backgrounds and might have different reasons for supporting it. Basicly, the team is not doing good, but we as supporters are in disagreement of what is causing the bad performance. Is it the leadership or are the other teams cheating and negatively influencing our performance? Even worse, all other teams plus the association are conspiring and trying to get us out of the competition (even though we just got in!). Some might even argue that the team is actually doing well, it is the scoreboard that is wrong. 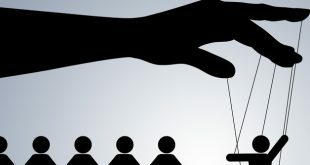 The group of supporters that attributes the failures to outside factors should be convinced that even though there might be unfavorable external influences, it is the own leadership that has failed the most. You can not change teams, at least with football, maybe you do with those sports in the US? So I think it is important to state that there is only one team. What a mind blowing and heart wrenching sight!! I am deep into a hectic time and forcing me to stay away for a while. Unable to follow the flow but the page. Wishing you good discussion time anyway. The good news is that, PFDJ is now fully exposed and the time has come to be asked for their gross human rights violations. Thanks to the COI, for their good jobs and on-time delivery of result findings. Eritreans have no identity crisis (as YG and his followers tried to portray) but gross humanitarian crisis. Its root extends right from the birth of Nihnan-Elamanan gangsters gathering. That manifesto (thanks @Isamail Ali)has created “fear” among Eritrean dissents. Our father’s from Keren, who were arrested by a conspired case of Jihad (1995) was the peakest of human rights violations. Today, we are living in its effect. The Velinequi group thinkers infected ourlives. They betrayed us yet they tried to hijack us by false slogan “One people, one heart”. They enslaved us by the name of “national slervice, aka, national slavery”. Families were dispered, housed were dimolished. Schools were closed, intellectuals were exiled. Farms were abandoned, children were starved. Mothers wiped out not because of alcohol but excessive anguish. Today, it is time to eradicate Eritrean killer virus. No negotiation, no engagement. (brother Amanuel Hidrat, don’t try to make a historical mistake, even let alone be intellectual debate, people like Gheteb are killers of humanity). No reform (as sabri said it, PFDJ is a rotten tomato). Dear Eritreans, let’s work on the principle of “Heart-and-Mind” strategy (Haile TG, always the Great, keep pn punching brother) and establish institutions; It is a single woman’s dedication (Elsa Chrum who combined her ‘heart-mind-institution” – thank you sister Elsa Chrum, your work is not finished but you did so far great job, keep on working hard). SGJ, you are wonderful man. Saleh Younis, please drop your “reform agenda”. saay7, I believe you have a power to lead Eritrea from its current misery but only when you go on for “fundamental change”. Aha, KS, MS, SA, FG, Abi, H, Ted (? ), Mizaan1, tew, T.T, Peace!(?? ), the marvel in this university, greetings. Nitricc, special in its kind greetings. Again, I would like to focus the conversation on telecom because I agree with you (and PMMZ) that there is no way that, in the third world, the banks, which have better balance sheets and ratings than the host country, can be regulated by them effectively. PMMZ: If these banks can wreck the economies of Europe and US, what will they do to mine. Bingo. Think of it this way, Berhe Y. If you are a Diaspora African* and you are trying to emulate ebay, amazon, google maps, etc, etc, for Africa, you are most likely from Nigeria or Kenya or South Africa. My point is that internet/mobile phone penetration should be treated as an “investment in infrastructure” and Ethiopia and its static definition of its “developmental state” has not come to embrace that. * The role of the Diaspora African is to apply what we learned in our adopted homes to our native homes. (This has to be part of the developmental state formula, Sabria: add it:) Part of the reason for the elimination of famine from Ethiopia (they may have drought but they will never have famime) is traceable to one Ethiopian woman who (using what she observed in the Diaspora) created a commodities exchange system. PMMZ was brilliant and visionary, and I wouldn’t surprise him to say: ” If these banks can wreck the economies of Europe and US, what will they do to mine.” If you had listened to Dr. Eleni Gebremedhim’s interview ( a former world bank economist who introduced commodities exchange system) after his death, you will learn from the interview how this great leader was fully devoted to eliminate famine and poverty from Ethiopia. In her interview, when she planned to introduce commodities exchange market, he asked her to mail him (email him) the drafted plan before they met and talk face to face about it. She did, and he read it before their meeting. When she met him in his office, the first question he asked her was, how does her plan will help to the poor Ethiopian farmers. I am sure you can not miss it. But if you don’t please listen to this video. I actually listened to her interview with CNBC and I was blown away. In this case, the brilliance is all hers. (Not to take away from PMMZ:) I always have mixed feelings whenever I read/view great Ethiopian success stories: extremely happy for them and extremely sad for Eritreas wasted decades. Maybe you or Fanti can translate the expression “zeyqenie ayweled” to Abi so he doesn’t write a nasty poem about me by misunderstanding my intentions. Thank you for your well grounded information. You show concretely how the DS of Ethiopia works in those sectors. Simply brilliant! Dear Berhe Y, well put. IA has milked the sovereignty issue to the bone. There is no excuse to see this magnitude of suffering to continue but to end it as soon as possible. IA is Ok with the stat que as long as no one comes to challenge him in real way. Very interesting you mentioned, the lack of opposition figure who can mobilize the people for a cause of better Eritrea. We need that person and we have discussed it here before even outlined his/her personality to be, unifying, focused and unapologetic, a person who is willing to get his hands dirty when duty calls. We have all the reason to demand change at home knowing The GOE is a gift keep on giving in terms of miscalculation and mismanagement of the country. 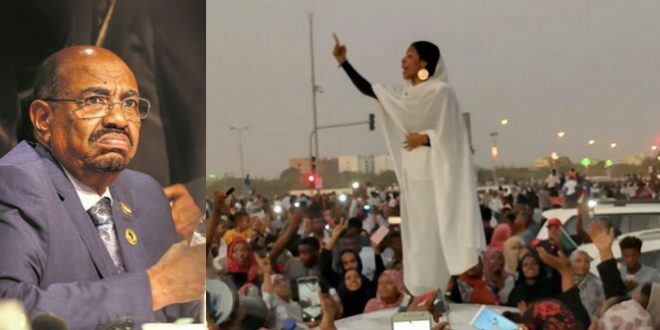 Unfortunately Eritrean politics has become a rally for power , even we find that person the opposition camp will tear her/him apart to pieces..That is my guess and still keeping high hope( on the people) some how we find a way to see better Eritrea. I believe this is Saay’s specialty, digesting looong documents. As for analysis, I read the entire document and didn’t find any new information or angle because everything in that document was posted, analysed to death and disseminated in awate.com either as opinion, editorial, or Gedab News. We might as well compile everything we wrote, which will surely be much bigger volume, and publish it again. I will leave this to Saay or any other takers from the AT. I am working on it. Like SGJ said all the information is known to any Eritrean who makes a reasonable effort to know what’s going on in Eritrea so the challenge is how does one write something about a subject that many know of in greater detail than the CoI? I actually was trying to see what the reaction of the government is and what do its vocal supporters say and its déjà vu all over again. If there is no any new thing reported, then, I can assure that it is the most reliable document. 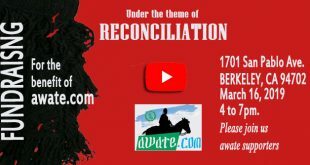 Awate.com, and its team are the most informed about Eritrean human crisis. And if COI now reported what awate.com was reporting, and this is within less than a year mission, I can appreciate their work. Let’s remember this, any scientific work is considered as science if it can be replicated. And awate.com is the center hub of science. What it says, can be replicated through different means or approached. That is why I call this room, as ‘Awate University”. the center of science adnd enlightenment. But keep in your mind, don’t expect acknowledgment (aha, I said something I think before on this). Yes, all you did is for “justice” and your formal acknowledgement will be the day of “Justice”. ሓቀይ ድማ ! 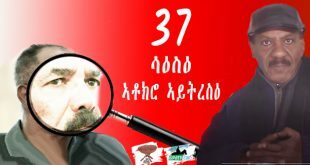 !ሕጂ ኮ እቲ ስርዓት ዕድሚኡ ንምንዋሕ ዘገብሮ ዘሎ ከም ሓንቢሱ ዘይፈልጥፍ ዝገብሮ ፈንጠርጠር እዩ :: ብስሩ ነቲ ስርዓት ዳግመ ርኢቶ ዘውህብ በር ‘ኮ ባዕሊ ረጊጥዎ እዩ :: “ላ ዘንብ ባዕደል ኩፍር “ድዮም ዝብሉ ዓረብ – ሓደ ሕጋዊ ምሕደራ ዘይብሉ ስርዓት በየናይ መደያይቦ ደይቡ ብዛዕባ ልምዓትን ዕብየትን ይዛረብ ? In fairness, I am aware of your long term interest in the subject of DS and its application in Eritrea’s case. I remember having some discussions with you about it in the past. However, I was limited by my own depth of understanding of the concept at the time. I still struggle to understand it because the “state” part of the developmental state (as a concept) is not yet fully clear in my mind. I sure understand the development part, but what exactly is the “state” part? Does not being in DS imply not being in developmental state or not developing? I know this are basic axiomatic or foundational questions, but to be honest with you, I do not have much background in its unique conceptual framework. I am still trying to grasp it, work in progress. In terms of understanding PFDJ or its supporters state of mind however, it may be the wrong way to skin the cat in my opinion. Some of us often refer to the “enslavement” concept to define the regime. But what about the subject that is supposedly being “enslaved”? Are they really slaves? Do they think, speak and act as slaves? What is a slave anyway? Before I move on to demonstrate an example, let’s consider that a slave by definition is someone with no sense of ownership, entitlement or rights whatsoever. A slave’s right is the right of his master, a slave’s ownership is the tools it uses to serve its master and ceases to be his/her when they stop being a slave, the slave’s entitlement is simply to be the agency of his/her enslavement. YAY considered that the “government” was justified to detain the G-15 in the manner it did, because the G-15 challenged the power of Isaias Afewerki. He then recommends that the regime finds some palatable way of dealing with them (not even releasing them or compensating them) because their continued detention is bad for the politics (i.e. the power of IA). The above is like saying that it is OK to shoot someone dead should I feel they threaten me, but it would be recommended to think of ways to dispose the body because the stench might prove uncomfortable or hazard to my health! That is at the heart of the PFDJ supporter’s state of mind, i.e. a sense and being of a slave. A slave would help you to detain his fellow slave. He would even recommend creative ways to do it too. A slave is a no entity and accepted that state of mind. I essence, a slave is an expert in defending NOTHING. YAY could have easily contradicted his own assertions by asking what about those senior leaders detained before the G-15, but that would be expecting him to think and process as a freeman. I think such reality is something we need to dispassionately assess. There is a derogatory usage of the Tigringna word gilia (slave) in the circle of the regime’s senior military officers. I came across it in passing, hearing them say it in a sort of incognito way many years ago among each other in a middle of discussion. We can look at the population’s reaction of “wey zbeluka gberelom wey adon gdefelom” a clear sense of lack of entitlement, there is the case of “gele geyru yKewn” when some one is refused burial or detained without explanation, another clear case of a sense submission to whatever the master indulges in and many and many more. Thank you for the nice word. I would like you to know I’m one of your admirer. You are well articulated both in content and form. You put a very good questions. Terms like development, state, democracy are not easy terminology. Scholars are struggling to define again and again. Particularly when it comes to the nexus development and democracy the issue is a little bit complicated. So, your question is not elementary. The term Developmental state is a recent phenomena though that type of governance have been existed more than six decades. The term developmental state conceptualized for the first time by Charles Johnson. According to him, developmental state is a state that is focused on economic development and takes necessary policy measures to accomplish that objective. You asked what the state imply in DS. DS, In different from neo-liberalism, the state in DS is the main driver of the economy. DS is a state-driven economy. Some called it state-driven capitalistic economy. Normally in a capitalistic economy it is the market that drive the economy. State intervention is not encouraged. To the opposite in DS state intervention is highly encouraged. The role of the state in DS is highly amplified in all the structure of the governemnt. The state define how the economy is structured and how the society is structured in a given country. Nevertheless, it is good to remember this kind of huge state intervention is for a definite period (at least in the sphere of economy) until the economy take root. Then gradually the state leave the space to the market as it is exhibited in South Korea and Japan. Its role become limited. The state still intervene but only when it is absolutely necessary. The necessary of state intervention in a capitalistic economy become an agenda again after the 2008 world economic crisis. That crisis couldn’t be aborted without the state intervenation. The 2008 incidence is an eye-opening for many countries and scholars. Some are obliged to review their economic outlook. The relevant question to ask is how can this help us to understand PFDJ and its supporters? If you see the whole program of EPLF/PFDJ, it is leaning towards DS. Eritrea started to implement DS right after the liberation. Now the situation is different but the vision is the same. I agree there are many supporters who are slave-minded but not all of them. There are many who base their argument on the vision of PFDJ. So, it become relevant to scrutinize DS in order to give us better understanding how they function. Since DS is a very broad subject, it is important to see it within this context. Are there examples of the above DS negative scenarios from countries in similar situation as the typical third world economy. Thanks for your help to clarify this brother. Until Sabri comes with answers, let me say few things on the questions you raised. As you said it correctly, we can think of what a country misses in the absence of the DS paradigm. The central argument behind the rationalization of the DS, as I understood it, is(Like in the parlance of the early socialist ideologues), democracy cannot take root in underdeveloped societies. Democracy is not known to bring about development but development resulted in democracy in few countries of the world. No country on earth so far had developed while practising democracy from early on as such. this leads us to the notion that while democracy is the best mode of governance in accommodating diversity of all forms, it is slow in development deliverance as everything has to be negotiated and sometimes stalled for the sake of exercising democratic rights of individuals, groups or what have you. In the face of all of that poverty reigns. The economic voids that are supped to be filled by the private sector wouldn’t materialize because the private sector is not willing to take the investment risks related to building infrastructure. That’s why many countries are still in limbo waiting for some magic to crack. Ethiopia had been at loggerheads with the IMF when it started resetting the Gibe I hydro electric dam. They said said she is spending beyond its means and that leads her to chaos. At that time Ethiopia had about 360 MW generating capacity. In the same vein they opposed Gibe II, Tekeze, Tana Beles, and since recently Gibe III and now the Renaissance Dam. When they felt that the government wouldn’t listen, they transferred it to world rights organizations and “Green movements” to foil Ethiopia’s attempt of energy-self-sufficiency. myriads of organizations are lobbying in the name of the original people living in these areas and the environment, but we for sure know that their agenda is just to pressurise the country to succumb to their non-sense demands. This government worked so hard to in afforestation and recorded significant improvements on the environment. the forest coverage reached about 13% from a low 3% when this government came to power. None of those who voice at the top of their lungs recognize the restoration of the environment but focus on stalling the developmental projects. what does that tell us? If Ethiopia had heeded their advises can you imagine the energy chaos it would endure? Now the country generates about 2500 MW (which will be about 4500 in September when Gibe III with installed capacity of 1870 MW is added to the grid). It still fall short of addressing the demands of electricity which is showing annual growth rate of 23-25% a year. So what a country misses is it forgone development while comfortably making good friends in Bretton Woods. Your b) depends on the answers to a). We cannot think of investment without infrastructure. Ethiopia is seeing a rise in FDI because of the enabling situation it created, among other things, in the energy and road accesses. That is not even enough. It’s is also spending billions of dollars in building industrial villages so that inverters come, install and start operations in few months. The only discomfort I have is we are not that efficient. There is huge dissipation in the government machinery. This makes questionable whether we would live upto the demands of the DS and maintain the pace of growth for long. There are visible weaknesses in this regards. Again you raised good questions. A) The answer is yes. Let me explain. State intervention alone can’t tell if the state is DS or not. There are states who have strong hand in every matter but they are not DS. There are countries that led by strong state but very inefficient system. Most dictatorial systems have strong state but the state is inefficient and corrupted. Another example is communist states. They are known for their strong intervention but if you see their system it is a command economy. In difference from the above examples the state in DS is not only strong but expected to be efficient and competent. Relatively the bureaucracy in DS is independent and staffed by well competent personal. In DS a state should be strong and capable. DS believe on market economy. However, it chooses to give upper hand to state to lead the economy (at least initially). Privatization and liberal economy is allowed but strictly controlled by the state. In DS, state intervention looses its grip in proportion with the economic growth of the country. B) Not necessarily. For instance, DS is in favor of private sector but the state intervention is not minimal. In contrast to DS, neo-liberalism emphasize free market without state intervention. Both neo liberal and DS favor market economy but their approach to state is completely different. So, if the system favors private sector, it doesn’t mean state intervention is minimal. Hope it helps. You are welcome if you have more question. In my last post I was trying to show you how this issue is relevant in understanding the mind of some of the supporter of the regime. I’m expecting your reflection. Thanks. Your answer to (a) is very clear, I will ask few clarification for (b) towards the end. Thanks also T. Kifle, I will use your input and Emma’s observation as part of my brief reflections (including your, Sabri, question on how I see this helping to understand the regime supporter). What I get from the developing discussions is that DS is a unique system in itself that can both sufficiently and necessarily represent the entirety of a national system be it politically, economically and socially. In essence, it would influence every facet of the national life. As you said in your answer to (a) above, there can indeed be strong state intervention that would still not amount to a DS. In other words, in DS the state is a strong player, yet such state intervention is of a distinctive in quality and purpose as opposed to simply being construed the state monopolizing everything. From my understanding so far, the DS state intervention is necessarily meritocratic in character. Otherwise, it would not serve the purposes of DS state intervention which is to enhance competitiveness, efficiency and drive development. If you look in Eritrea’s case, meritocracy was ruled out from the get go. You do know how tegadelti with little or no knowledge were appointed in virtually every place. Loyalty is everything and has been everything in PFDJ system and meritocracy was not only discouraged but merit proven to be dangerous to non tegadelti Eritreans to the point of most of them being the early batch to abandon the country. You even remember the South Africa Unversity students saga and many condescending vitriolic IA himself used to abuse the educated class in the early years of independence. The sustained militarization, closure of accredited places of higher education and total cordoning off of the private sector are but few examples. The DS state intervention model is not recognized or well understood among the PFDJ let alone for it to be something to explain their condition. From T. Kifle’s input we can see how the major infrastructure developments were consistently focused on the nation’s natural assets, such as land, water and energy. Eritrea’s major state led initiative was mining which didn’t start until recently (even that with a lot of foul approaches). Fisheries and Marine resources could have been the logical starting point that is still being left under utilized, monopolized for cash harvest and out of reach for most fishers because they have to turn over their catch to the PFDJ owned Erifish. Again, DS seems to have capacity development at its core, where as the regime’s human development propaganda is something I don’t take seriously. At the center of capacity development is technology and knowledge transfer. Yet, how many Eritreans were declined investment proposal because a foreign national is said to have similar proposal? Even at the fishery level, the Russians have fishing licenses to simply exploit our marine harvests while they have barely no contact with local fishermen. The PFDJ has no DS nor did it set out to do it. It may well be the case that the supporters don’t know what it is, as most of in opposition are just starting to open our eyes to this. I would actually think this could be a good idea as a vision to post PFDJ Eritrea, but would not associate it with PFDJ supporters in any shape or form. Simply, they key ingredients that appear to be essential to a DS can’t be evidenced in practice from gleaning into PFDJ Eritrea. Yes their dossiers and documents said that, yes there may have been statements supporting that but their very basic set up and fundamental orientation precluded the possibility of entertaining that. I can’t see how a state that is run under system of loyalty (not just at the political ruling class level but right down to who becomes a manager and deputy manager in a small shop) and does not value merits be able to intervene in the manner proscribed by DS. I was also thinking about Emma’s question and was pleasantly surprised to note elsewhere that there is also a variation of DS (at municipal or local) level that worked in Latim American countries. So, from perspective of those who feel social groups may not be strong players in DS, it appears that once one understands the mechanics of it (work in progress with this commenter:) there may be more than one way to implement it. What is your view on that? Finally, my question for clarification for your answer in (b): when we say “private sector” doesn’t it preclude state intervention by definition? Note that we are not saying Market economy which happens in DS with the state as a major player, we are saying the private sector that would necessarily push the state to regulatory roles. Do you see what I mean? You summarize DS beautifully in your introductory remark. It is impressive. You touch many points. I will start with your last question. Private sector by definition is part of economy that is run by private enterprises. We have to differentiate between private sector in DS and private sector in a purely capitalistic state. Private sector that pushes the state to its limited area, regulatory role, can only exist in a capitalistic economy or in a state that transformed from DS to purely capitalistic economy. Even within capitalistic economy there are different types of governance such as: liberal, conservative, social democrat. In all these type of governance the role of the state is not comparable with DS. While private sector (big or small) in a capitalistic economy is free to exist, private sector within the arrangement of DS come to existent if and only the state in DS give it a permission. private sector in capitalistic economy doesn’t need permission from the state because the role of the state in this arrangement is only regulatory. It can be a little bit different in a social democratic governance. DS can forbid some part of the economy not to be privatized as it is exhibited in Ethiopia. For instance, Bank, telecommunication, energy and land are strictly in the hands of the state for various reasons. These sectors can only be privatized when DS allowed to do so. This kind of arrangement is unthinkable in a capitalistic economy. What I want to say is private sector can exist both in DS and purely capitalistic economy and it doesn’t preclude state intervention if it is arranged under DS. I agree with many of your points in your description of PFDJ and its connection/disconnection with DS, However, you miss one important point. It is obvious DS is non existent in today’s Eritrea. Nobody including PFDJ deny it. When Hawna Saay describe the regime as “participatory mandatory developmental state.” He see it at aspirational level. It is the same with me. when I discuss DS in connection with PFDJ I never contemplate the current regime is developmental state. The regime claim it is working hard for equatable growth, social justice, peaceful and secured nation, development ownership etc. you also mentioned it. All of these things have direct relationship with DS. But as Saay put it correctly it is only at aspiration level. That aspiration, that idea no matter if it is realistic or not, it had a power to attract many Eritreans especially when it is presented in the context of ghedli and nation building process. It is fact that many sympathizers draw their motivation from this narration. It is this fact that interested us to look closely the issue at point. In the paragraph where you mentioned about various of DS, Latin America etc you asked me to share my view. Honestly. I don’t understand that paragraph. Please try to reconstruct it. sit and contemplate on the take-home messages we have drawn from the discussions between you Sabri and A. H, HTG and others. Do we have a clear picture of DS in our mind, now that the discussion is nearing its end? Below are the conclusions I have drawn. I am sure that you and others can enrich the list by adding points on DS, which I might have missed, or correct the points I have misunderstood. · Development in DS has two branches, economic and democratic. · Democracy is not the guiding force, nor its priority. · Strong and functioning institutions are very important for its success. need to go through parliament and persuade opposition parties to support its plans, and even then, parliament is under the control of the regime and it poses no problem at all. · Economic development under a DS can take a country (although not always) towards democracy, by raising the standard of living of citizens and their political conscience, while democracy does not lead to a DS. The demand for democracy comes through the creation of an urban middleclass that becomes strong, educated, and with a much better income, who demands for a greater share in the political power. · While Ethiopia can be called a DS, Eritrea is not yet. that have implemented DS policy. I like to thank all participants in this topic . It has been extremely educational. I like this DS idea . First dabo ( development) , then democracy. For me it is like fulfilling your basic needs first before you fulfill your higher level needs as discussed by Abraham Maslow . BTW, I am a believer in Maslow’s hierarchy of needs. If I am to live in Ethiopia, this DS thing will make me hate my country. I don’t want to live in a country who cheats its citizens saying we are developmental and democratic and then brings arguments like yours as dabo first as a defense for lack of democracy. I once read that PMMZ said he prefers freedom to dabo and look how he ended up. Anyways, for me this DS is a means of cheating so as to get legitimacy. I see what you see, but let me add a little twist to what DS really means. Ultimately the goal is of course to have a prosperous and democratic country. The question is when you inherit a country as old as time itself with profoundly deep rooted culture and tradition with an embarrassing education level, an economic prospect that was approaching zero only about 25 years ago, and when your citizens are on the brink of starvation by the millions, how would you prioritize between Democracy and Development? The ideal scenario would be to do both at same time, which is what Ethiopia is trying to do, but in the event that they over lap and you must prioritize, of course, you would want to have a full stomach to do anything. In our case the question is not whether the government is denying democracy to its people, but are the people ready to demand and apply democracy the way they should. To simply expect a copycat application of democracy in our country, irrespective of its demographics, demands, needs, and many other obstacles does not help bring democracy, but it delays it farther. If you ever were asked to break “ye dagusa qiTa” when our mothers make “Tella” for holidays, they usually entice you to the job by saying “eyeqoresk bila.” but my mother always confused the words and she always says “eyebelachuh quresu.” My sister and I could never contain our outburst laugh every time she says that. I don’t know if it is her instinct taking over her obligation, but she always made it sound like her priority is to make sure we ate, and then we break the qiTa. So, folks the question is simple: eyebelan entedader woys eyetedadern enbila? Ene eyebelahu etedaderalehu, ante eyabelah tastedadraleh. Metaneq alena agul new behuwala..
Somethings are so intricately blended and intertwined that they are better experienced in harmony than analysed separate. The 1000-legged worm, millipedes (?) was once asked by a curious ant which of his many legs moves first. Then it gave it a thought. It couldn’t say which. To figure it out, it had to move and see which one leg acted before everyone else. That was futile. When thinking was involved, it lost the skill of moving, even with all those legs. Here is where HaileTG comes to heart. When thought and analysis are involved, you lose the art and the natural harmony. The moral of the message: you are hungry, eat. what you are eating could be dabo. but everything else that enables you to eat that piece of food could be counted as freedom/right. The food could be there. But the act of eating involves an element of freedom. That is how it gets absurd when you suffer from over analyzing life rudimentary. You are right. Most emotional, moral and impulsive actions are not justified by the mind. For instance, if someone impulsively jumps to the sea to save a child, the mind had little role in his decision (I hope someone doesn’t try to explain how the nerves and the cerebellum, etc acted to make him jump). Worse, if he dies in the process of trying to save that child, the mind will be outraged even more. Long time ago I was discussing the Eritrean struggle during the Nadew battles. He didn’t believe anyone should die, “you mean you die for your country, I am not dying for my fffing country!” He thought of me (rather his mind) that we were crazy to sacrifice for our country. The discussion went on for too long and I told him, “well, based on the history of your country you shouldn’t, because almost all your wars were offensive, not defensive.” He agreed yet he was confused: his mind was rejecting all wars; his heart was rejecting the wars of colonialism. I like your “over analyzing” the rudimentary. The Sudanese have a dirty saying, here is my sanitized version: over washing the nose makes it bleed! Excellent summary. I wish Sabri could also see the democratic institutional side of it; and what are prerequisites for democratic transition that guarantee civic society to take root and grow as independent public sphere to protect the democratic institution. Agreeing to most of your takes, I would like to say few things on the private-state ownership lines of separation you put. As to my understanding, holding the enablers such as power, road, banking and telecom under public ownership is not necessarily attributes of the DS. The very reason why the state makes these sectors under its grip is because the private sector is not matured enough either in capital or corporate leadership or both for their proper functioning. For example, Ethiopia’s defiance to liberalize the financial and telecom sectors has less to do with the nature of the developmental state. International companies have been coveting to invest in these two sectors but she refused to liberalize or privatize them for the sole reason of fearing the unknowns attached to the international practices after seeing the East Asian and Latin American crises of the recent past. But Ethiopia had already made its intentions clear that the private sector can participate in generating electricity while distribution is still public. So the main attribute of the DS is not the fact that it involves in this or that specific sector. Rather, it is whether it intervenes where the market is incapable of doing its things. Again taking the Ethiopian experience, No privates sector is so far willing to invest in energy generation and road construction sectors. Thus, she has to rely on public spending in order to fill the yawning gaps in the sectors. There are plenty of companies willing to invest in the telecom and banking sectors. So the government has to have some other explanations (Other than the DS) to defend its position why it is not willing of privatizing these two sectors. DDS ( Diciplinary Democratic State). Your DDS is not an exception. It has been my concern for longer time now. So, rest assured that we are in the same wavelength. I was excited to see you yesterday, it so happens as soon as Saay denied and I admitted missing you, but I couldn’t say hello because you were discussing some heavy stuff with sabri and others. Welcome back. Thank you sir for wishing me well. I had been tied in something (not counting votes as Saay tried to make out of my absence 🙂 ) . As soon as I get the respite, I have this habit of visiting the website. As to the “heavy stuff” you mentioned, I am just throwing things I observe from afar. Don’t take me seriously. Would you brief us on what is happening with the counting and the final results which I assume will be announced soon. Actually, I am nowhere to know about the counting. But according to the schedule the final results will be announced in June 22, 2015. The provisional results show that almost all seats are won by EPRDF and its allies. The reason for the delay is because the Election board introduced some complications to the process. Example, university students and the members of the defence forces cast their votes. Their votes should be hauled to the Kebele each and every voter belongs to. That takes them time. In any case both sides seem unhappy about the results. EPRDF seems expected/wanted to have the majority win with significant inroads of the opposition as it helps it project the democratic aspect of the DS. And the opposition are unhappy because their combined vote share in Addis(the real election battle ground) is only 35% and they have this feeling of being rejected. EPRDF enjoyed 65% of the votes and 100% win of the sits in Addis. Does it mean all parliament seats will go to the EPRDF? I heard they were considering “affirmative action”. Is that true? Hi SJ let me answer your question with a joke I just read. Horizen I think you got it the reverse order. First of all Ethiopia is not in DS stage. Few years back Ghana was hyped and glorified as emerging African country; so much so, the opportunistic, Obama went on to visit. Now Ghana is on a verge of crises even collapsing. Why do you think the reason is? For the record; DS and democracy are not compatible in Africa. I will expand on that comment time permitting. developmental state is characterized by the following features. I wouldn’t conclude DS is authoritarian. If we see countries who adopted DS in 20th century most of them are authoritarian because their version of DS doesn’t consider democracy. However, if we see countries like Botswana and Mauritius who adopted DS in 21 centuries they are both developmental and democratical. Ethiopia strive to be both democratical and developmental. It is work in progress, we will see how it resulted. Anyway the prospect is good. There is no guarantee that you will have democracy by just creating a middle class. The state should work consciously to implant democratical system right from the outset. You need institutions. In a country who strive to be developmental and democratical at once the two are treated equally and give ample consideration to build the necessary condition for both democracy and development. The DS implemented in Botswana and Mauritius may differ from the so called asian tigers but their story is really a success story. You can search and read more about it. You will be surprised. I have no problem with rest of your lists. Just say a word of appreciation; thank you. You have been awesome and generous, keep it up. I have enrolled in your class!! I also assume as the state transitions from RD to DD, the grip relaxes, or they are completely different? My friend TK is also welcome to join in. I was going to explain the underlying ideas in relation to PMMZ doggedness and rigor, and possibly his contribution for developing countries (I read some articles on this when he was alive), but I am not in a shape to write longer comments. I am hopeful, my questions are clear to you. FB on the same topic and I post it here as it is, accepting your invitation. Aytestewahdo. This is my two cent explanation as far as the nitty-gritty behind the name “FRONT” and why it has been chosen. It isn’t that you asked this particular question but I thought it would help me explain the concern you raised in the other thread. Under liberal economic order, you have the capitalists, the working class (not in the communist sense, but an entity well protected by law), small business enterprises and the educated middle class. The main contending political forces are the liberals (leaning to the lower middle class, the working class and people who run small and medium-scale businesses) and the conservatives with a social base of the upper middle class and the affluent capitalists. These two contending forces basically agree on their major governing institutions, laws and strategic national interests but differ from one another on the social base they focus. mechanized farming by few rich farmers (NOT PEASANTS) will feed the myriad of industrial complexes; rent-seeking behaviour will be annihilated or largely mitigated. A conscious middle class will be the defender of the system by bringing in or kicking out ruling parties of the day and control excesses as such with their constitutional right to franchise in a periodically held elections. In the process, a significant part of the FRONT would be jettisoned aside every time and at some point the historical mission of revolutionary democracy ends and would be substituted by some other kind of democracy (most probably social democracy) among the variants in the democracy spectrum. Thank you for the nice word. I also learn a lot from all good comments and questions raised in this discussion. You raise very important point. I’m afraid it will depart us from our main topic if we go deep into it. However, I will reflect my opinion in short. Revolutionary Democracy (RD) is a term EPRDF use right after they entered Addis Abeba. Since the cold war is ended and the soviet bloc is dismantled they were forced to modify their ALbanian style ideology. RD born under this condition. RD at its core is communistic but are opening a little window to some liberal things like market economy. There are some feathers that is also in DS but largely both in content and form DS is different from RD. It cost huge split among TPLF leadership to be transformed from RD to DS. So, in my mind EPRDF is transformed when it decided to adopt DS. From that day on EPRDF no more entertain communistic idea. Their old vision to eradicate poverty, to create equity and build social justice is intact but it is distilled now in a non-communist machinery namely: DS or Democratic Developmental State as they want like to be called. above comment. I would say it complements your comment for the most part. where as RD is the guiding ideology of the front itself. What is correct is the role of the communist core was put to rest for obvious reasons. 2. Similarly, it is news to me the point of departure for the TPLF leadership in 2001 was this RD. It actually wasn’t. Split was in spite of it. The war with Eritrea was the major cause for the split. for better or worse, a transition period envisioned to counter the neo-liberal paradigm. It defines the social constituency of the front, embolden the social classes to close in ranks and mobilize them to create an environment conducive to socio-economic transformation. If you feel that I made some blunders, I am ready to take my lessons :). 1. As far as I know and all sources I refer tells RD came after the dawn fall of the derg. It never existed before. However, the ideology behind RD and the one that existed during the struggle is the same. RD is a kind of modification to cope up with the changing world. Later on they realized the best way to change the society during the time of globalization is through DS. Thus, RD substituted by DS. 2. True, the question of Eritrea is one of the main causes. Ideology was another important subject of disagreement. TPLF, throughout its existence has always been communist. Now, with the adaptation of DS the goal is not anymore communism. DS leads to capitalistic society. This is a big change and it is not a surprise that such huge conversion created loud opposition within the top leadership of TPLF. 1. EPRDF was formed in 1989(TPLF+EPDM) and the Name given to it is/was Ethiopian peoples Revolutionary Democratic Front. This concept has been there in the programs of the member parties since their inception. RD is almost identical to the “National Democratic Revolution” devised to cater for the transition period required for pre-capitalist societies to prepare themselves for the necessary capital accumulation before they transit to socialism. So, the communist core of TPLF for example(MLLT) was supposed to overtake the roles of RD after the necessary social base (the proletariat) is created. RD is transitory in nature and cannot have existence whether one wants to pursue socialism(The working class leads) or capitalism(the capitalist hegemony leads) once its objective is fulfilled. It’s an ideological means to rally different social groups for a higher purpose(creating a “just system” in the case of socialism) and a competitive market system(in case of capitalism). So it would be an overlook to contrive RD substituted MLLT. For all I know ( and if it helps, I was a member of both MLLT and TPLF) RD pre-dates 1991 and its objective had been to expedite socio-economic transformation so that the transition to socialism would be faster. 2. Here, it is true that there were ideological differences. This ideological difference revolves around similar scenario IA has created when he jailed the G-15. The splinter group accused the PMMZ’s group as “defeatists”. The post-1991 adjustments made by EPRDF were construed by the group simply as prostration to imperialistic clouts of the west. Their argument was that abandoning the objectives stipulated during the armed struggle were forgone for the leftovers that the west throws at us. This group accused that the reason why we “wasted” time in negotiating with IA during the war was a manifestation of that defeatism. Though ideological difference was of less contributor to the split, the splinter insisted that trying to build market economy that leads to a capitalist system was equivalent to MZ’s ambition to manipulate them and was tantamount to abandoning the original objectives of building a socialist system. But for all we know, it didn’t take them to claim that EPRDF was wrong from A to Z and the only salvation for Ethiopia of today is liberal capitalism. Ps: please note that the splinter group is no more a splinter group. from the leadership only Gebru and Aregash are vocal at the moment. The rest are either silent(like Siye) or are supporting EPRDF. Thank you. Yes I know EPRDF was formed in 1989. I agree the core ideology of MLLT is incorporated in RD. Just a little correction. i didn’t say RD substituted MLLT. What I wrote was DS substituted RD. I am enjoying reading you both here. With regards to the split in 2001, I also think it has some competing visions of nationalism, based on Gebru’s own narrative in his book. My take was that PM MZ was being pragmatic and nationalist, while Gebru et al were more seeing things from a more nationalist and to a certain extent regionalist perspective. Your analysis also address that to a certain extent. As to RD and DS, I don’t think DS substituted RD. As TK said, it is a transitionary ideology, and there can be more than one RD party if we are talking about a Democratic DS. Which brings me to my question does RD still espouse a Vanguard Party idea or is RD a broad transitionary platform? Thank you and the feeling is mutual. When it comes to your question whether “RD still espouse a Vanguard Party idea or is RD a broad transitionary platform”, as in all leftist ideation, I see trouble in its theoretical framework. Probably, the period of the armed struggle lacked the benefit of governing a country with diverse, diverging and contending interests. Many variables then were assumed constant( best system, people will give their consent for that best system because “people can never be irrational when they undergone enlightenment” 🙂 , the Tegadelties would remain tegadelties as selfless as they were in fighting mal-governance and corruption etc). So the initial mission of RD was to create a necessary condition for a socialist system and obviously saw itself as a vanguard party. When the road to socialism seemed closed, the role of RD should adjust itself to realities and allow others make opinions in the open and vie for political office. But, as I see it, the revolutionary democrats see the other parties as the “necessary idiots” than a solution to Ethiopian problems. Still, they think that their party is the only answer to the country’s calling so have hard time to differentiate between what they want and what exactly Ethiopia needs. I still hold they are the best in town. However, they have visible weaknesses. They override merit for political expediencies, they focus on amassing members through incentives instead of relying on electoral constituencies based on outcomes of their policies and deliverance. The institutions are highly politicized (at least many Ethiopians think so) which is but showing the desire to remain as a vanguard party. Thank you and I think you have made a real progress this time around in making us understand this concept. I remember the last time you brought it up, it was limited to few participants and felt more abstract. This time it seems it has attracted wider and deeper interest and you guided the discussion with integrity by staying clear of the volatile political climate prevailing. That is a skill and I admire that bro. I now get that the “private sector” in non-DS and DS systems is different, because in the latter DS controls how much space is allowed for it, its composition and possibly limits its scope as needed to meet the overall targets of DS (of course that would go on until such time DS transforms into fully fledged capitalist economy). That is all clear now. On the second point, i.e the aspiration of DS as being a factor for supporters of the regime is disingenuous. That is why I think with your level of impartiality, it is hoped that you continue to educate people about it and thus can be a motivating vision for unifying (I will say more about that to assure Emma’s social groups concern a bit further down). Because the brutal political battle being waged behind the scene may jeopardize the inspirational impact of this idea. 1 – There were/are/will be Eritreans who find DS attractive especially when it is presented, as you said, in Ghedli context. 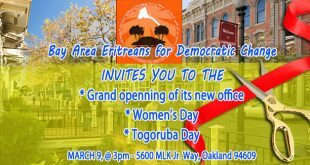 2 – Such segment of our people are attracted to PFDJ for that reason! I would say #1 is correct and #2 is fudged and part of consistent and persistent attempts to hijack sentiments, that I will explain later, to proscribe mushmush komidere:) I can recount to you from the top of my mind some 5 Eritreans who went to extra ordinary lengths to set up investment ventures in the early independence time, I know what happened to them and how they were frustrated. You probably know similar cases too. Those are the people in #1 and had been badly burned by the acts of PFDJ. To be in #1 means to know the painful facts of losing your lifelong earning first hand, it means to taste the bitter injustice of the system first hand, it means to have the know how and resources and see it idle. These are the people who flocked for second round of investment conference and left without a word. They all have real story to tell about their loses, the duplicity and criminality of the regime and painful memories of their ill treatment. Those are the people who supported the DS vision and obviously for justifications of the ghedli context. Those are the most dedicated and core opposition to the regime too. Actually, it is cruel and cold to try to use such victims, whose life dreams stifled due to their vision of prosperity for their homeland, for the narrative of the agenda of those people trying to garb reform under whatever they think might hoodwink us. Your balanced approach, coupled with your expertise in the area holds promise to the future of an Eritrea where justice prevails. But, I would have thought it would be best to defend it from manipulations by those who failed to exploit the Ethiopia sentiment, the gender equality sentiment and now the vision and dream sentiment. It is a desperate act of trying to pull a wool over our eyes. When those who made the mistake of trusting PFDJ and its heaps of lies tell you how that vision costed them, it is a real grief and anguish to them. The supporters of the regime are opportunistic, people with shoddy backgrounds and the masses who are bewildered and don’t know what to make of it. The very act of understanding DS requires a degree of proficiency that would completely turn one off the regime. It is a contradiction in terms to think someone understands DS and also supports the regime. Truth be told we have those who went more than understanding it and attempted to support it with all they had and today it would be easier to praise a devil in front of them than the regime of IA. You heard Wedi Vacarro and many others. Those are the people who bout into that dream and were threatening to assassinate IA in the end. So, that is where the forces of democratic change differ from the opportunistic reform camp that has shifted justice to the back burner. The local DS question was more of an assessment on how DS could be accommodating of group interests in diverse societies as Eritrea. Considering that equitable power sharing issue would come to be an issue in the future, doesn’t that weaken central state and can DS be applied in such kind of set up? is what I am trying to get at. What I read was something about Municipalities having DS styled management but not the country per se. In Brazil and Columbia such systems were applied in urban areas to combat poverty in big cities. I don’t really know much but was thinking that if DS become unworkable at state level, could it be used in disadvantaged communities and minorities to accelerate their growth. In our discussion we have seen the economic, development and democrat aspects of DS. But we talk little or none on the security aspect of DS. Singapore is a good example to show how security demonstrated in DS. DS is intended to build effective institution. Internal Security Act (ISA) in Singapore is organized and administered in the same manner as other institutions in the field of economy and administration. They did that because they feel the security of their small nation can anytime be jeopardize by external forces. I’m not sure but ISA is still active. I raised the security aspect of DS since it is directly related to the issue you brought. Let me see it from the angle you touched. of all, since it affects all aspects of the society. According to them, their act is primarily focused to defend the nation’s sovereignty. Also, they believe they are hoping the regime implement the core principle of the PFDJ charter (which is the basis for DS) if they push from inside. These people may not have detail knowledge about DS but are very positive to the content of DS (including its security aspect) as it is presented by the regime. For this reason, Hailat, I don’t agree with your statement “It is a contradiction in terms to think someone understands DS and also supports the regime.” Also, I don’t agree ALL the supporters of the regime are opportunistic and slave-minded as you tried to portray them. If the assessment of the above group is right or wrong is another thing. Regarding the issue you raised weather DS can work at local level without state, it is possible some contents of DS can work at local level but that is not DS as we know it. For DS to exist state not only important it is necessary. The entire issue of DS is dependent on a state. DS as a concept cease to exist if you subtract state from its formula. State is the alpha and omega of DS. I am sure the politics will be intractable, mewaEl kolel zebele:) but my understanding of DS is much better now than before starting the exchange. If Emma has time, it will be great for him to tell us how he see the DS vis-a-vis the social groups issue he cares a lot about. I am not sure that early 90s EPLF/PFDJ government was following a developmental state model. Yes, there was talk of being a Singapore, and Singapore was a developmental state, but I don’t think we can really say that it was, as there are other qualifiers in measuring a developmental state. There are other ways of organisation of political economy of a country that can used to describe those years. In all countries national security has an upper hand, not just in a DS. Almost all DS according to current discourse are not militaristic. The Japanese militarist state that lead Japan to the WWII brought a lot of economic development but is not an example of a DS. Rather it is the post war state that is seen as a DS. Most DSs have low spending on defence, you cannot say that is the case for Eritrea for that period. You cannot explain Eritrea’s broad reaching miliary adventures too. The current system of government is crudely corporatist, totalitarian, and advocates economic isolation – under the motto of self reliance, while DS concept is not necessarily bound by self-reliance motto, but in integrating with the global economy in the best way possible. DS is worthy of a study on its own. I think it is a red herring to try to understand the DS in order to understand PFDJ supporters. Someone said it is like a cult. As in all cults the most important thing is isolating the core beliefs, I don’t think DS is a core belief, for PFDJ or its supporters. 4. Short-term authoritarian leadership with long-term intent of political pluralism. I think in 1993-96 this was all the rage in Eritrea. At least in terms of the language used, particularly as it relates to absence of corruption and lean bureaucracy. In fact, the short-hand for “Singapore” (that was then ridiculed, unfortunately, by some Ethiopians) was meant to signify that the vision was one for DS. Even the introduction of National Service was not alarming because Singapore had (and still has) a mandatory 24-month national service. My points: (a) the appeal of the PFDJ to some PFDJ followers is on the basis of its claim that it is building a Developmental State; (b) this is demonstrably false since the leadership is neither visionary, since the bureaucracy is redundant and corrupt at all levels; (c) the Developmental State is not a pre-condition for a State to develop and it is a very risky experiment–particularly when things go disastrously wrong, as they have in Eritrea, because the balance-of-power between the citizen and the State is heavily tilted towards the State. ( this is a topic I broached with Sabri in our discussion last year.) Still, I think it is important to understands the CLAIMS of the PFDJ supporters, so the claims can be proven false…and I think the Eritrean opposition has to present alternatives beyond what appears to be standard neo-liberal alternative. I had replied to your post yesterday, but I no longer see it here. It must have been lost in the black hole of Disqus. setting and achievement of social goals”, which cannot be served by militarism. Some DSs might have high defence spending but none are militarist, as far as I know. In fact the early post WWI japenese state was as developmental but the top leadership was hijacked by militarists, and resulted in catastrophic defeat and at a horrific human cost. I hear you now. Do you think military expenditure as % of GDP is an indicator of militarism or paranoia. This week, for example, it was reported that Angola spends more $ on arms than any other Afeican country. Should its neighbors get nervous or should they try to understand what’s eating Raoul? On Eritreas 1990s aspiration to be Singapore, I will try to see if I can find ghedli era praise of Singapore: I know it’s leader was seen as a model in the 1990s among conventional Eritrean scholars. Dr Berhe Habtegiorgis…well…he is a marketing professor and his write ups on economy are a case of enthusiasm compensating for expertise. Something very common among all of us: I believe T Kifle noted that none of the DS discussions in Erhiopia are joined by those who should: economists. Thanks for an illuminating discussion. All hail Sabri! First I thank you for introducing this topic. Initially, it was thought doomed as SGJ raised his knife over it, but thanks to sabri, it was saved for a fruitful discussion. I think everyone, but Nitricaky, is happy it was discussed. 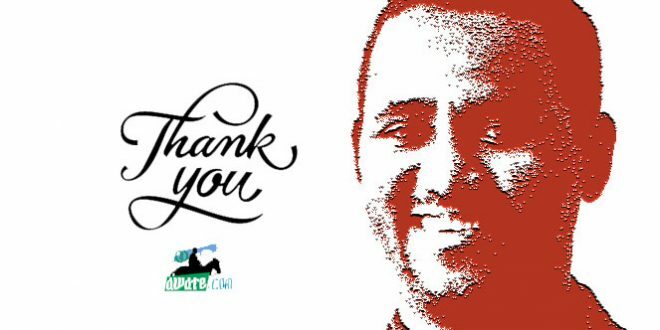 Thanks again to sabri and the rest who participated. I can assure you that you won’t find any particular interest or emphasis on Singapore during Ghedli era (EPLF side). There was no definite model, except that we would pursue a mixed economy and that it would be export-oriented. Here is how I think this Singapore stuff got popular; and by the way, it was made popular by Ganta TK, otherwise, I don’t know if much was placed on it by Eritreans. Up until the mid 80s, EPLF was flirting with a socialist (command economy), political seminars, literature…discourses were abundant with research papers on 5 years economic plan of Cuba…North Korea…the Soviets…etc. The organization started shifting slowly towards a nationalist fervor in the years running up to its second congress (1987) where it clearly stated it would implement a mixed economy (BTW, way before Ganta TK did); it also shifted (at least on paper) from its democratic centralism to a political program which would include liberal ideas such as political pluralism…political rights, etc. IA explained this further in his long interview which covered the whole magazine of “Sagem” it was published as a special issue, in 1990. Up to this point you won’t find Singapore referred to as a model. The reference of Singapore was first introduced by Haile DruE (or Petros, but I believe it was Haile) in an interview around 1992-93. As you noted there were many conferences to hammer out the macroeconomic policy. If I recall it correctly, the drive and the vibe of the activities in those years would indicate that, indeed, Eritrea was formulating its economic and political programs with DS in mind. The national charter of PFDJ of 1994 is evident that the organization was moving fast towards adopting DS with main focus on lean and efficient governance, lean and agile defense force (it was estimate that Eritrea’s standing Army would be around 50,000), social justice issues as interpreted by equitable distribution of services to all citizens and regions with more focus on the development of human power; it was modest in its foreign policy apart bfrom IA occasional; eccentric and flamboyant attitudes towards OAU and the UN… With Ethiopia, it continued integrating ministries, particular non-security/defense ministries, Finance was one of the toughest and may be the one that lead to the crumbling of the ties (there were workshops funded by UN for these activities…There were many sticking points in many areas but there was hope that they would overcome them, including on economic plans (Ethiopia complained that Eritrea took it for granted as a market, hence, there was the tariff war; on political front also there were disagreements on the types of government and administrative structures…Ironically, the border was the least area that had occupied the leaders. Anyway, the above is from memory, I hope it helps the point you are making. And that is: there were and there are supporters of PFDJ who believe they are supporting a cause; they are buying into every reason the government is giving. It is not without a reason when the government says ” if not for the CIA…wayane….we would be …”, because it knows there are supporters who believe in the programs and are hoping once these problems pass away, the programs they believe in will be implemented. Therefore, for us, instead of name callings, the smart way would be to knock the foundation from its base; showing them an alternative and feasible program and at the same time demonstrating that either PFDJ didn’t really mean those programs; that those programs were designed to dupe us; or the programs where meant to be implemented but the organization got hijacked, and in both cases, the best way is to oppose PFDJ (I’m talking about the supporters or the silent…). I wish I had joined the development and its related topic discussions led by sabri. bad on my time. Anyway, I have lots of things to speak concerning agricultural policies that can help Eritrea to be out of current PFDJ agricultural policies. What they followed was absolutely wrong as it is mainly centered on “Collective Agricultural Policy Systems.” This type of policies were followed by x-socialist countries and communist countries like Russia. They both failed. Russia for example, despite its huge land resources, still it depends on imported agricultural commodities. Phase 1: 1940s -1970s – Heavy subsidize. They did this because they were food insecure. This created a favorable condition for heavy investment on agriculture and boosted agricultural products. EU came food secured. Phase 2: 1980s-1990s – Subsidize but on restricted quota (for example, milk). Due to huge technological advancement, production became enormous and they applied a pressure on some products so that there won’t be over-production and hence wastage of money and resources. Phase 3: Food security and environment became big political issue. And a means to sustainable agricultural policies were on the table more than any time. The quota system introduced during phase 2 was expired last year (2013) and market has the power to regulate production capacity. Subsidies shifted from direct on-farm subsidies but on investment quality. Rural developments are now in the forefront as EU thought that they are loosing their basic foundation of food production system. A lesson to learn: Eritrea needs to focus on boosting production through direct farmer’s focused subsides in which EU did in the 1940s and focus on sustainable policies that respect the environment, culture, ownership and securing technological systems that respect the environment. “The land belongs to the state” policy should be reversed into “the land belongs to the people”. Then people will have power to regulate his needs. The state can help formulate rules and regulations based on public demand and needs. Imposition should end. Just a cent from my main stream of thinking. That was helpful, please join in when a similar subject comes up. As you could see it from my comment I was mainly explaining the origin, evolution and the scope of this “Singapore” mention. I always laugh when people float it deliberately as if Eritreans were dreaming. No, we were not dreaming. We were serious in uplifting the living of our people. And acvcordingly, there were efforts made which were eventually derailed. We know how they got derailed. Many lost their lives and their livings in order to correct it, all the political prisoners and journalists in detention fought for those ideals. Anyway, I was focused in a narrow window 1992-94 era, and not statingn that PFDJ has been doing a DS programs. So, please come up with such helpful inputs because as far as PFDJ is concerned, I am a foreigner. You are still fresh. You will not get a single reference from the Ethiopian side that insinuates EPLF was aspiring for a DS. But following independence, they conducted seminars, workshops, country-level conferences and what have you as a policy input for developing future Eritrea taking Singapore an an economic model and Israel as their security model. The national service is inspired by Israel and the “export oriented” economic policy could be inspired by many countries who have gone through that export-led growth model and that they are not few. I understand that there is nothing wrong in sincerely taking Singapore as a role model. What makes PFDJ’s emulation of Singapore a farce is that it didn’t base it on Eritrea’s potential strengths. Rather, it factored in a variable which is not under its control; i.e Ethiopia. There is/was nothing one can mistake Eritrea for a DS. A DS is developmental before it is anything else. It works within legal frameworks, nurtures private ownership and abhors a Mafia run economy. Militarism is less of its priority; only legitimate security concerns would be accounted. However, what we get in Eritrea is quite the opposite. There were little(or none) security concerns when it gains its independence. But Eritrea worked hard to create them. So, if Eritreans are supporting their dictator based on security issues, it’s only because Eritrea chose to be in that status. It’s a consequence of the decision of Eritrea and nobody else’s. A state that spends 20% of its budget in the military, a state that characterizes the private sector as “greedy” , a state that jails its citizens without a procession of law(and denies visitation by near and dears), a state smiles at the serial of deaths of its citizens, a state that drives 20% of its population out and still smiles cannot be mistaken for being a DS. Eritrea can only extricate itself from the trap it had willingly entangled. And I really cannot fathom those Eritreans(those who support the regime consciously) are such people who cannot differentiate between dark and light. As to me their reasoning must be challenged instead of being understood. You said it right. In those early days eritrea tried to use ethiopia as an ATM. I don’t pretend to know much about eritrean economy. One thing I know for sure is their embassy in addis was ground zoro for money laundering. If a country tries to build its economy through contraband and money laundering, it is definitely bound to fail. I care less if eritrea wants to be like Singapore or Japan as long as it is not my dime they are using. Free port for 6 years? I can assure you emmama Ethiopia was dry during those early years. The ATM would give you a receipt that read ” sorry, no cash available”, and the cows were decimated with drought. Now, they are grazing and fattening up, may be a time to get milked. Ted the experienced rancher is commissioned to milk the 90 million cows!!!!!! I like to believe you are joking. Please tell me you are joking. No joke, Ted is on his way, just so you prepare for his arrival at Bole. To bad the calves have changed to TIGERS to protect the cow. Ted will ask asylum at Bole . He will settle in qera. No joke. Once a butcher always a butcher! That’s easy. All you need is a diversionary meat/beef for those tigers (Asab), and you get done with milking the cows. You said Qera, I think I heard about this place, but give me some info, abi. Qera is a neighborhood in addis . Residents are /were dominantly eritreans. It is also the place where the slaughter house is located. Ted used to live there . He is an expert in stealing cows. Mahmud, there is another problem with the beef and the port. 1 those tigers who are responsible for protecting the cow are well -fed. Nothing will distract their attention. 2 the beef(asab) you are willing to trade has no value as we speak. It is a bad beef. 3 plenty fresh meat around. Why go for the stale one. 4 how about if you pay us for using asab? It is a win win situation. We use the good for nothing port , you pay us. You see? I’m generous. qey bahrachen!? Tell you what abi, and this is a final deal; let Ted have a pass to the 90 million cows and we give you a pass to Gurgusum, but you pay in hard currency. Hi, GREAT MS, Not Gurgusum!!!!!! , we will find for Abi somewhere in Asab where the camels are drinking. What is gurgusum? Is it some kind of gursha? I forgot. Mahmud, why you send only Ted? Send all 6 million Teds. You are all welcome. All we need is reverse your independence. I know this is what you need. You were so embarrassed to say it . It is all goooood. You know I have a knack of knowing people who enjoy jokes. I would love continuing it with you but time is against me and my friend Ted declined signing for the business; he is saying it’s not worth of his ticket price. I know he’s bad; he just wanted to spoil the progress of our ድርድር. So let’s sing that abi, I have four graduation parties to attend, so, see you next time. Siga min yadergal aTint new zemed. Keyet yemeTa new yih hulu mesgebgeb ? Yetameqe fesun gumm new yemasmesilew. Hi the Great MS, since we left, the farm has become automated, the cows being feed corn with growth hormone and as it turn out i am lactose intolerant. Your rancher is now in to soy milk and gogo meshela. As the wound that won’t heal, with this recent UN report Abi and your bad friends are smelling blood. The chief rancher Aboy Sibhat is busy at work, let us see if this milk help them propel to Asmara. I am still waiting for your son Nitricc to explain why he thought our discussions sounded like white men describing Africa:) Never mind that his team, for all their claims to being immune to outside opinion, will highlight on their front pages if the white mayor of Nowhereville (population 1,800) praised PFDJ policies or gave them symbolic keys to the city of Nowhereville. The point is that whether it has succeeded (as its fans claim) or failed miserably (as the facts show), the Isaias Afwerki regime has drawn a futuristic image of Eritrea that is compelling to some in its fan club. (I think we in the opposition suffer because we have no real models we are using: it’s all abstract and it’s all theories.) When the Singapore model was shown to be completely unrealistic, they have migrated to a new model: Cuba. Isolated, embargoed, quarantined, but still has an admirable Human Development Index (HDI.). They have made it really clear that the things that are precious to us (human rights, not being tortured, not being disappeared, having a choice in who governs is, parent raising their own children) will have to wait until all the things that HDI measures improve. Because they control all media and because they arrest and disappear people even for dissenting THOUGHT much less dissenting opinion and action, they have managed to enlist people to their cult-like org. And I don’t know of any way of deprogramming cultists without knowing what they were programmed with. Why event try? Excellent question. I wouldn’t try with the cult (I don’t have patience of Ayoub though I wish I did) but I would try with those who see SOME merit in what PFDJ is selling. woy ane!!! Don’t give up on Gen.Nit. He will always behave like that if there is a favorable discussion about Ethiopia and you know who (wayane). Well, it hasn’t been a good week for him, including myself, we have had a favorable appraisals about Emama EtioPia. Dear saay please take my vote up. Can we multiply people like: saay, mahmud saleh, Ted , peace and SJG in awate.com forume and if yes please help me do that. ሰለይ ዶ ክንብል ቁርብ ? 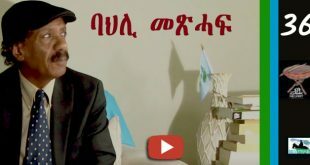 እነሀልካ ድኣሲ እቲ ቀደም ኣብ ተጋድሎ ሃገርዊ ቃልሲ እንከለና ነታ እንደልያ መጻኢት ኤርትራ ብዝምልከት ዝተፈላለዩ መስመራት ዘለዎም መርገጻት የካትዑና ነይሮም:: መቸም ማርክስነት ሌሊልነት መን ተዛሪቡሉ ! ጥቅስታት ማኦ ቀያሕ ንኡሽቶ መጽሓፍ ዘየንብባ ኣይነበረን :: ኣይትተሃከ ሳብሮም ኣንብብ እሞ ! እሞ ንሓደ ዝሞሽሞሸ ኮመደረ ካብቶም ዘይሞሽሞሹ ፈሊኻ ምድርባይ ንጥዕና ናይ ካለኦት ጽቡቅ ስጉምቲ እዩ ::ቅድሚኡ ከይሙሽሙሽ ምጥንቃቅ ‘ውን ዝበለጸ ነይሩ ፥ ኣብ ምኽሻን ጸብሒ ነዛ ዝሞሽሞሸት ኮመደረ ከትእትዋ እትደሊ ወዛል ሰበይቲ ዝተፈላለየ ናይ ኣከሻሽና ጽብሒ ምኽንያት ገይራ ከይትቀርብ ግን ምጥናቃቕ !! Of course when you apply this ethos, which is useful only in war time and revolution to peacetime, we have what we have in Eritrea: a land of secrets. Anyway, KS, Sabri has explained it to you: if it is not clear to you, the issue is not philosophy or እታ ጤል ኣበይ ክንኣስራ before we even buy her:) The issue is: is there anything else that explains the supporter of the government other than fear, opportunism and drums? If you think there isn’t, then move on…if you think there is, then listen in, contribute. We discuss Ethiopia simply because it is a case study of the developmental state and we know more about it than Botswana. There is no reason to strain yourself or to feel left out from the discussion…you can always start a new topic about Said Saleh, koboro, etc. That subject never dries up. okay I got it. Regarding Said Saleh, it is just one one example. if you only feel it, it was to say fallowing those who kill innocent fighters in itself was foolishness and no wonder we pay high price for it. every minute I hear their voice. every minute they call me from where they are. they are in my mind and that is why I have never enjoyed that “national freedom” you all dance for it. until every one who killed get what he deserve I am not going to stop. I never never become tired. For those who forget them all, without any clear reconciliation I am saying you will never get peace and you deserve all the sufferings. so it will never dry, the more you jock about it the more you will cry. You summed up my long arguments against attempts to reform the regime in two words: rotten tomato. Thank you for the simple description. I believe that many people that opt for the option “reform the regime” do not necessarily do so because they believe that the regime deserves a second chance or that it is actually not performing that bad. Rather they favor that option because they believe that any process that excludes PFDJ can not deliver a favorable outcome (at least on the short-term). And those people might then provide the treatment of the Baath party in Iraq as an example. But maybe they (Baath) were weeded out in the wrong way? I completely agree Iraq is what it is today because of the mishandling by Bremer and the American administration. Weeding out the Ba’ath party was a natural step but the problem is they dis Andes the army. In our case, the army is Eritrean. D it should be tasked with the security issues after any change but our equivalent of the Ba’ath, the PFDJ, should be weeded out. We are close only you seem to see the PFDJ and the defense forces as one–correct me if I am wrong. In fact that is why the idea of the reformers is not appealing because they fail to make a distinction between the defense forces, and the PFDJ, and the nation. Is they can stay clear of this then they will face another problem: is the PFDJ really reformable? Yes, then we are closer than I actually thought. In any transformation the army should be tasked with security issues. First of all, because there is currently no other Eritrean armed group that could take over that task. Secondly, because it minimizes the risk of individuals/groups within the army that are able to create havoc and chaos, to do so. Off course the rotten tomatoes should be weeded out, but directly excluding them from any process could have negative consequences. Depending on the type of change this would not even be possible. I mean, how would you physically weed out something if you would have the (Eritrean Defense) force to do so. I hope the army and PFDJ is as seperated as you seem to believe, but off course you also know that in Eritrea the army is not as seperated from the executive power as in Western countries. Maybe I am underestimating PFDJ, but apart from the army (which may or may not be one) I do not see much substance. Off course there is an ideology, party structures etc. But I believe that in any kind of post-Isiaias scenario these would almost vanish. Isiaias never allowed the party and its institutes to really develop, for known reasons, and that is why I believe that without Isiais they have no life. Congratulations to all who gave testimony and to those who worked tirelessly (Ghezae and company) to see that the COI produce a daming report on the regime and its apparatus. I hope to this criminals referred to ICC and behind bars. The world and EU is fed up with the number of refugees and unimaginable suffering. I believe they will act, at least in their own self interest and if this helps end the suffering of our people, then all the better. Damning it is. I haven’t read the full report yet, only a brief summary, It is interesting the bad government organs are identified. The President, the President’s office, the PFDJ and other ministries are charged. Girma Asmerom said it was a useless report and those who prepared it should be charged. The thing is the spotlight will have a span of only a few days. After that, hmmm back to pre-today. The deaf regime is not about to lose sleep over this. I have read the summary (28 page document) and check the rest (484 page) over time (for knowledge). The ICC route may not be followed through at this stage because the “Crimes Against Humanity” part is qualified as “may”. Also, not all COI findings result in such referral (although all recommend it to UNSC as part of their recommendations). I think this historic finding and documentation is a great victory to justice. It would hopefully ease the pressure on the refugees being threatened with deportations. It also will serve as an added pressure on the criminal regime. Few would want to be seen with a regime charged in Crimes Against Humanity against its own people. It will further isolate it and force it to retreat into more risky (to itself) corners. The special rapporteur’s mandate will likely be renewed and in the best case scenario, the regime may be threatened with measures to pressure it to allow access to the country. What is most interesting is that a number of the recommendations may not be practicable without regime change. I read a few pages, but then didn’t find enough apatite to continue because I didn’t find anything new to read, and I am sure to many Eritreans it is same all same given horrors have been part of their life. Then the next obvious step was to see the possible scenarios that could come as a result of the report. Given the regime can only be removed by the “WILL” of the people, the “who is the mastermind of the report” becomes crucial regardless even if the report is considered slam-dunk. Obviously this is not a bipartisan work therefore the chance of reaching and galvanizing the mass is very slim, and regrettably the stalemate to form a united front will likely to continue. The other scenario is removing the regime through wining the “hearts and minds” of the UN which is intervention. Too bad the UN has no good record. Eritreans are watching the suffering of many countries from terrible UN miscalculations. Iraq, Libya, Syria, Somalia, and now Yemen are perfect examples. What else? more sanction? Well it is apparent that mining campaniles are defying the existing sanction and continue to make deals with the regime. Even, for example, the UN adapts a no fly zone resolution, no one is going to pick up the bullet unless those who worked hard to build the report and their constituencies are secretly preparing. Moreover, let say the UN is too busy with the mess in its hands so it may refer the case to ICC. Again the ICC has also been losing its credibility badly. The Kenya and Sudan cases are perfect examples. Who knows Al Bashir might visit the Whitehouse soon. The African leaders are also stepping up and putting a stiff resistance to ICC and its apparatuses. Therefore, the report won’t change anything; in fact, it is likely to create a huge distraction to the notion that regime change for the people by the people. Thank you for your reply. I agree with most of what you have said, that’s for real change to come, it’s best if it comes from internal and by the people. 1) No body in his right mind who wants to see change in Eritrea would oppose this idea – so no argument there. 2) This does not mean that it will replace or make redundant the current movement for change, be it inside the country or outside. 3) I see this as an addition or supplement to the movement for change, by squeezing the regime in all angles. 1) the first case was for the UN to believe there is enough case that warrants to appoint the special rapporteur. Which it did last year. In the best case, the Eritrean government would have allowed it to visit the country and give access to prisoners and their condition and that no rights of people, have grossly violate. Then it would make its recommendations and the Eritrean government would accept or even appears to accept and make small meaningful changes. In case of Burma for example, they allow the political prisoners access and that they changed house arrest etc. off GOE refused. Now the SR makes recommendation to the UN and that it asks for commission of inquiry CIO be setup. So they did their work and interview people and collect enough evidence to build a case. Again the GOE was given a chance for CIO to visit but refused again. This is the stage we are now. The CIO issued the report and they give to the UN with their recommendations which suggested that crime against humanity believed to have been committed and refer the case to the ICC. Now this has not happened as yet, it will be upto the SC to agree. Given the current U.S./Russia relation ship it may be hard to get Russia to go along. But if other countries, such as those in EU and Ethiopia pressure it enough, and hard work and lobby efforts, I think there is enough reason to believe that it go along or at least abstain. China will guarantee it will abstain as it has a bigger stake in Ethiopia. All other non permanent member state, I think the influence of Ethiopia (in terms of African countries) and the U.S. And UK in terms of European and other countries will be enough to compel them to go along. In other words Eritrea has no allay, it’s not North Korea where China protects it, it’s not Syria where Russia will protect it or it’s not Israel where the U.S. Will protect it. I would like to emphasize that when I say Eritrea, it’s not Eritrea the country, Eritrea civilian or the public that is referred to the ICC but rather the president and his cronies, the military etc, in other words those responsible for the current suffering of the Eritrean people. This will not defiantly will make a regime change but it will help push towards that. For example it will make travel restrictions etc. One can argue, this is just another report and it hasn’t value. That may be the case, but look how the regime crippled in all its adventures with neighbouring countries. It will be a tool that will squeeze it more in combination to others, until it explodes or mend its ways. It worked on Burma, after so much pressure, even though they were protected by China, they finally the junta relent power and made changes. So what we have to understand is all small action, when they complement each other will lead into a BIG action. And all of US, who want to see change, need to find our calling and support the cause that will believe will make a difference in the lives of our people and that of our country. What’s really significant about this report is over 500 people came forward and told their story voluntary. The story of tortutur, story of abuse (physical and sexual), story if confinement, story of denial, story of fear, to the world to hear. NOW when people around the world ASK, what compels people, including pregnant women and children, to risk their lives to cross to Europe, there you have it. Isayas and his cronies are NOT made up of iron and still, when pressured enough they will crumble, MUCH faster than we actually think, because they are cowards. Ghirma Asmerom can say what he wants, but I wouldn’t rule out if he will be the first to testify against the regime to save his filthy skin. Dear Berhe Y and Peace. If you allow me to go inside of the head of international body based on this report and the evident tragedy of immigrants, there are three options in likely order. 1/Compromise with the GoE to reform its policies. This report has a power to influence the GeO to change its policies. The GoE knows that, hence the release of recent legal documents and limiting national service to 18 months. This will leave the opposition out in the cold. 2/ Tightening the sanction at all front until the GoE collapses. It takes convincing all UNSC countries or can happen unilaterally(US and EU). The opposition sit and wait. 3/Regime change. This only be possible with the involvement of Ethiopia to install transitional gov where Ethiopia is willing to do if they get the full support of the West not even UNSC , just like Somalia.The opposition in Ethiopia forms a transition Gov. Do you think all of the UN actions would have happened without the efforts of the opposition? I am sure you know there was a tireless efforts and campaign to bring this about. So, “the opposition left in the cold” diminishes the producer and focuses on the product. Worse, it makes it look that the product created itself :-). 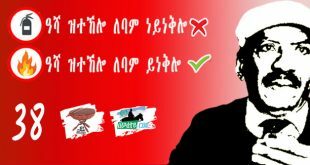 Hi, HTG, “Opposition left out in the cold” comes to making Kebero junkies sign a petition, anything less than that, you have to count on others to fulfill “Eritreans wish”. aha Ted…you mean unless KJ stamps its autograph, 5000 youth can be dumped on land or water with impunity! KJ is useless for all purposes and intents, that is why it consigned itself to the life of KJ to start with. They don’t even number to matter that much. Dear HTG, that is where you went terribly wrong, underestimating your opponents. I hoped the Mind/heart explanation of things help you see through that, i guess you don’t believe in your product. Haha Ted…because saying it is the panacea to some. Right? Yes, that was interesting. if it is wishing, one needs to have the wish of being right, not the right of saying it first. Dear SJ, a have a picture but it is casper a friendly ghost. I think there is a 4th option that IA use to his advantage. make peace with Ethiopia, make superficial reforms ( remember derg’ mixed economy declaration at the 11th hour) ,and life continues with no significant change. He will do anything to stay in power. Who is going to stop him if he give away Badime? I mean if the worst comes anything can happen. Derg changed from communist to market economy in one Friday afternoon speech. Aha..there is that too:) Now, how did Derg fare with that market economy then?..Haha…you see Abi, that is a standard than exception, all dictators believe there is always a way out, except none of them ever found it. Even IA promised to change national service to 18 months and write a new constitution and what have you. The problem is that by the time they decide to do so, it is sooo late that they also insist on a certain Mr Jose in US pay $10,000 to each of their citizen from his freaking tax and pension money:-) They appear so ridiculous and delusional and simply mark their 75th birthday, they go senile and die. In simple words, it is better to do things before one has completely screwed up. It didn’t have enough time to do a thing. It lived only one more year after that. However, people’s attitude were changing a bit. Abi, that could be true. But now consider this: may be the opinion of majority of 60 million Ethiopians was changing but what about the one hundred or so thousands who refused to buy into it and pressed ahead doggedly? I am sure you agree they wrote the last chapter. Those subjected to change may not have the same resolve as those seeking change.And when the regime starts to make radical changes, it usually means that its enemy are proving deadly (this doesn’t only have to be with arms). And any change the regime contemplates would only hasten its fall. When derg tried to reform itself it had lost hope, support from the east bloc countries and , above all EPRDF was knocking at the door. Mind you this is 1982 EC just a year after the attempted coup and lost most of its generals one way or another. When it comes to IA , no formidable opposition like EPRDF that force him to change course. UN? Only talk. If he make peace with Ethiopia, even on ethiopian terms, and slowly and safely reform itself, people will be on godana harinet with their kokoros. If he release all prisoners tomorrow, do you think people ask him why they were in prison in the first place? I don’t think so. They will say elelelel. More koboro! For a durable peace:) it is better for both sides to workout peace without duress. Which means once Eritrea has representative and constitutional government. Sorry , I was busy in the R room gossiping Fanti. I agree with you . It looks like ” A day late a dollar short” situation. Actually Abebe Bekila and IA are a good match. I repeatedly wrote, the weaker we are, the more external forces attack us”. Ted failed to grasp this simple mogic. Dear SJ, i have no illusion of the opposition gave their in put in this report but get real, the opposition are just that. Wouldn’t be fair or satisfying if the opposition collected 100 thousands signed petition to UN this to happen. Tell me the truth if they can accomplish a fraction of that and we can talk about fairness hat. I like your enthusiasm about the wellness of the opposition but at some point you need to land on the ground and say ‘it doesn’t look as good as i see it from the above.” It is a virtue to admit lost opportunity( Eritreans being the witness in their case than be the prosecutors) and work hard to become master of our destiny. So you believe the opposition has no role in the COI report, its initiation and is continuity? Nada? Dear, SJ, You seem to be in love with the idea of team effort when there is no team willing to sit in one room let alone agree on things. i wouldn’t be surprise if they all compete in UN hallway to outshine each other. Hi, SJ. It is big of you taking it on the chin for the family. Would they do it for you? i doubt it, i have the feeling you go at each others throat when no one is looking. (all in the family, right?). I get your point( we are not perfect, yet), If nothing, you and your positive attitude counts for something. keep your chins up. Aha! Now we are talking. Just don’t lambast us all under the lazy characterization. That is because then, I will be confused who is positively trying to correct and push the “opposition” to get their bottom up from wherever they are sitting and who is stealthily trying to end any semblance of opposition to the regime. The former is good, a requirement and we should get more of; the latter is evil and an extension of the PFDJ arm. Not everyone who pretends to be against the PFDJ is one. I am appealing to you to help all in the “opposition” to identify the chaff from the real. Dear SJ, i reckon you are the man of character, for sure it ain’t come just naturally, it requires being in the trench long enough to know who is who. I also knew the wrath might be coming after you when you trim the opposition down to 15.It is not easy being Eritrean opposition. 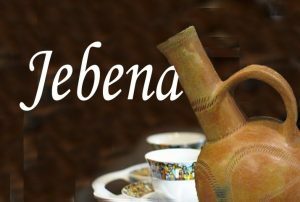 That being said,have it crossed your mind those you deem to be unpalatable even to have a cup of tea with could be the same groups who might have left bad test in Eritrean mouth. I truly hope you win them over, otherwise it will be even longer travel to get to promise land, it is better lighten up the baggage now than later. You need both of your hands to fight the monster, now your one hand is occupied with your ‘bad friends”(Yes, i am talking to you semere). Admit it Ted. You were nervous as hell when MVP made that impossible shot and King James was yelling at his teammates. Come on. Admit it. Hi Saay, we had 20 points buffer, how fast it eroded make any body nervous, then again when you have the King on your side, well, you know calmness resides. The point is Matthew Dellavedova has got your MVP’s number. If you look at it closely, I don’t see any role for the opposition groups to play given that they have no leverage. Do you think if an opposition group comes with arms and wreaks havoc in the nation, they would have a leverage? Does it mean that other peaceful opposition entities and individuals will have no role because they do not have a leverage? What happened to your promise not to refer to the opposition as a monolithic entity? I was simply trying to make a point that as long as the opposition groups pose no threat to IA, the subject of playing key role becomes negligible. Look there is an existing sanction that doesn’t require arms and wreaks to keep it enforced, but the opponents have done nothing significant to stop the mining companies from giving life to the dying regime. With that in mind, I thought it is safe to say TGs have no leverage to play a key role should the report produces anything similar. Please correct me if I am wrong. And yes, that referring TGs by a third person was not intentional it was just out of frustration. I understand the frustration, I have been in it for years. But sometimes it sounds weird for you to go after the “opposition” day in and day out without saying anything about the cause that made us all opposition in the first place. How is beating on the opposition repeatedly going to make it better particularly when people like you are not coming with something better! Honestly, that is my biggest disappointment and frustration. Believe me, I know what you are complaining about, but remember that there are people who consider themselves “opposition” and have nothing to do with your fryustration. The responsibility is on all of us for failing. The moment we recognize we are part of the weak opposition, we will be in a better shape. That is because internalizing failure is an incentive to look for a solution. As long as we have a ghost on who we throw all our failures, we will not find a solution. That has been the point I am trying to make. But save your energy, wasting it on frustration and anger is not good for all of us. By the way, I have a project for you that will take you out of this if you accept it. I will propose it to you soon. How one could be more clearer than this simple explanation to cross the minds of Eritreans, I don’t know. But my friend, this is the best explanation to those who consider themselves in the opposition, but have the audacity only to belittle the efforts of the opposition. They always fail to recognize that they are part and parcel of the organized or unorganized opposition. If someone consider himself/herself as part of the opposition, they should either help to improve the existing ones or become an alternative to the already existing. The critics in not even proportional to their contributions. Very sad. If the government didn’t allow them to go inside Eritrea to collect and study the alleged crime, how did you expect the commission to collect their report? And now somehow you indirectly defending the regime when you say that the report is anyway a partsian report. If you want the removal of the regime, you have to use all the tools available to you. There is no ” lang langa” or specific tactics and strategy to remove an evil regime. You can’t walk both ways. It is a confusing walk if you try both ways. If you come to a conclusion that the regime is the enemy of our people, try to have a solid stand and tackle with every tool available to you with your fellow Eritreans in the opposition camp. Where did I defend the regime? I think we are discussing the report and its impact on the ongoing search for solution. It is unfortunate that the Opposition Groups has no role to play as long as they remain severely disorganized, and as long as they have ZERO, NADA leverage to even have their name mentioned. Now, please tell me what is the ideal outcome of this report as far as those who worked tirelessly concerned? If your reply to Berhe Y is not indirectly supportive to the regime then what it is? You are criticizing every move of the opposition and every move of international community against the regime. I can’t reduce your comment to supporting the opposition. Walk as an opposition to fight with every tools available to you including international community, or oppose openly to the opposition camp and support the regime. If you don’t believe on either of them, then create an alternative to supresed the existing opposition. No lang langa Peace. A fighter is always a fighter. Interesting! Can you be an accuser and a judge simultaneously? Given that you are an experienced debater, I thought you would quote me and prove your point, but instead you persisted with your judgmental tone. The truth is Berhe Y agreed with most of what I said in his polite response to me. Now, if your logic is correct, then Berhe Y belongs to Langa Langa group. On a separate note: Regime change for the people by the people is not a Langa Langa position; in fact, it is progressive and responsible position. First critics is not an accusation. If we are debating in virtual world we are all, name it. We criticize each other and give personal judgements based on inferences. And don’t forget it is always subjective judgements. We all do that. If one feels wrong judgements are rendered to him, he has to come to clear himself with clear stand. Nothing else. Wether you said it or not you have already judgement on me or others. It doesn’t bother me as far as it is virtual world and dictated by pen-names. So take it for grant this forum is virtual and you can’t rule out subjective judgements. to the moderator, that is i am guesing Salah Gedi,….i am very sorry for being insinsitive about Your feelings and the feelings of others when it comes to saluting them. I am Ethiopian, and a friend of mine who is Eritrean just Got an Accident. He cut his fingers off while working on Welding mashin. And then he called me. At the hospitall we talked , we talked a lot. We talked about being better. He told me he had to sed Money to sudan. he told me may Things and so i did. Mr. moderator . Life goes on. But one thing we said to each other is this. We thanked God that We are not muslims and we dont bow Down to Arab king. are not you already repeating the insinsitive thing here again. What is that you and your hate about arabs and muslims ? In this forume just do not insult Meles Zenawi unless every one have the right to insult the muslims and that makes me question the intention of some people who blame the muslims while their leaders murder the muslims on daily basis. For your own sake what do you want the muslims to do. what exactly are they going to do ? I did not understand, what you mean ?,are you replying to me from another article or are you in a deep hullucination? Did you notice Yemane Ghebremeskel’s effort to sweep away this report as “… they reveal their agenda is to reverse/question Eritrea’s independence.” I am confused. Is he implying that that report is bogus? As usual. and what else can they do? by the way, every time they repeat this type of game, their mind is believing more thy are right. but outside PFDJ it is the opposite. the more they use it the more exposed, and still they don’t know. That is how man starts to become mad. you know, i always say, Mr Ghana is the most elegant commentator at this forum, with this in mind i would like to share with you some thing which has been at the UN agenda for the past 60+ years and up to this day no solution or hope for a solution is in sight . the palestinian cause…. just recently at the united nations human rights council, there is a debate about the israeli human rights violation against palestinians women and children based from the 2014 israel attack to palestine. according the UN findings the israelis have killed- maimed- imprisoned-, expelled- starved so many palestinians, and again based on UN regulation a country with such grave human right violation should be listed as a terrorist entity and get sanctioned, in fact the going rumors is it will be next to BOKO HARAM on the list. Now, the only country defending israel and threatening the UN body and Ban Ki Moon in particular is the united states of america, so that the jewish state will not be on that list and be sanctioned. ofcourse this is not the first time usa is standing with israel defence, it has been like that for the past 60 years and many resolutions …i think over 25 resolutions and non is taken up by the un or the so called international community against israel… the killing…deprivation,,ethnic cleansing… imprisonment… of palestinian are going on. Do you honestly think the un human rights council is , honest, impartial, and really there to stand for those deprived of their rights the world over? There is nothing I don’t agree with in your post above, but a little addition. My faith on UN-anything and many other so called “humanitarian” organizations are concerned is closer to almost nothing. To begin with, the UN’s inception was based on mutual fear of the super powers of the time against each other. It was not created to insure the safety of the weak as we may be led to believe. Once in a while however, whether to save face or to remind us of its ‘viability,’ it brings news and reports that are informative and generally accurate. That only happens especially when it does not contradict any major power’s interest, or at least, when the damage to such a power is calculated to be so minimal it is allowed to appear “standing its ground” because the faith, thus the benefit later, that will be place upon it for doing so out weights the seemingly harm done to those barely slapped on the wrist. I won’t even waste your time talking about HRW, JWB, and AI. As you briefly mentioned the plight of the Palestinian people and what they have endured for decades is heart wrenching. The world seems to prefer to forget about them instead of standing together to demand justice in their behalf. Time and again the United States has done nothing except only give a lip service regarding Palestine. Even that is mostly to appease other Arab countries that it deems necessary to its “strategic interest.” Unless in the unlikely event that The Palestine’s and Israel’s interests coincide (Lemon Tree*), I do not see any change of heart coming from the United States or UN regarding Palestine. May be you are like me in your expectation of the UN or US doing something someday because it is “morally right.” They never have, and I don’t see they will ever do. It is always calculated for far different reasons than what most of us hope and think. Whether it is in Vietnam, Granada, Panama, Philippines, Afghanistan, Iraq, Somalia, and many more, I have never known for the US to get involved anywhere because it was the right thing to do. land given to the Palestine embassy and residence in Addis Ababa for free in 2010. TPLF’s stand regarding its solidarity with the Palestinian people and its opposition to any form of Zionism is one of its most important organizational pillars. deprived of their rights the world over?” That is an emphatic NO, sara Haftey. * If you haven’t seen the movie Lemon Tree, you must!